Multiple sclerosis is the most common neurological disorder to cause disability in young people. This neurological condition which affects around 100,000 people in the UK, with most people being diagnosed between the ages of 20-40, although it can affect younger and older people too. Some 5,000 people are newly diagnosed each year. Roughly three times as many women have MS as do men. In MS, the coating around nerve fibres (myelin) is damaged, causing a range of symptoms, such as vision problems, balance problems and dizziness, fatigue, bladder problems and stiffness and/or spasms. Memory, thinking and emotions may also be affected. The last few years have witnessed a revolution in our understanding of the causes of MS and an unprecedented appreciation of the prognosis. And while MS remains incurable, new treatments have transformed the prospects for people with this debilitating disease - some drugs may even slow the physical decline and healthcare professionals' ability to alleviate symptoms has improved dramatically. So, this book would have a positive message: MS is increasingly a manageable disease and many people can expect to live a normal life. 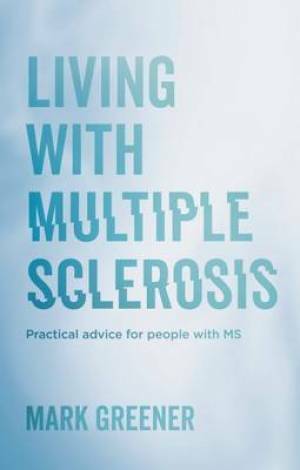 Living with Multiple Sclerosis by Mark Greener was published by Sheldon Press in February 2017. The ISBN for Living with Multiple Sclerosis is 9781847094131. Be the first to review Living with Multiple Sclerosis! Got a question? No problem! Just click here to ask us about Living with Multiple Sclerosis.